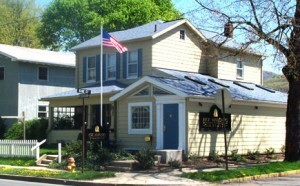 In the early 1980s, I officially started Rick Mahonski Goldsmith’s as a business. 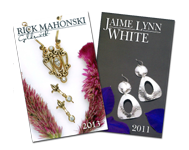 For the past 28 years, my work on the jewelry bench has become a passion. That passion is translated to each piece I design and create in my studio. Like many artists I have been greatly influenced by the history of art throughout civilization. Many of my pieces reflect styles from past great civilizations such as the Greeks, Romans, and Medieval Times, to name a few. In studying architecture from these great civilizations and combining them with contemporary concepts, gives me a great opportunity to create pieces that can adorn the body with a graceful beauty from old and new. Many designs are my interpretation from a long forgotten time. Let me tell you a little about myself and how I got started in the jewelry business. In 1972 as a junior at Williamsport Area High School, I made my first piece of jewelry, it was a simple piece for a friend. There was a magical feeling to create a piece that brought joy to someone else. I knew from that point on the special feeling of creating was something I would do for life. As a Fine Arts major at Wilkes University many hours were spent in the jewelry workshop creating piece after piece that were given to good friends. 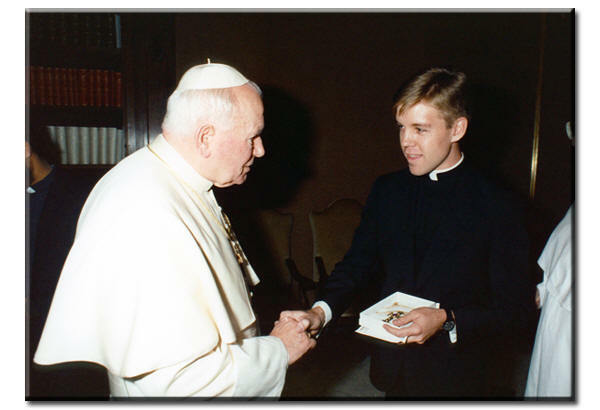 In March of 1995, a cross born from the collaboration of Rick Mahonski and Nella Storm was presented to Pope John Paul II. This 3 ½” by 1 ¾” fourteen carat gold cross, adorned with a purple amethyst and green tourmalines, was created using Mahonski’s forging, fabricating and lost-wax casting techniques, as well as Storm’s expertise in Medieval cathedral architecture. This gem-encrusted cross can now be found among the world’s finest Medieval goldworks displayed at the Vatican. 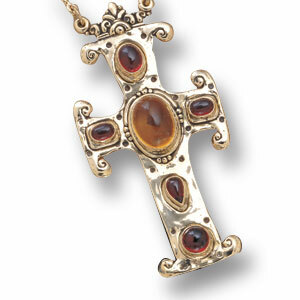 What few know, however, is that this cross is more than a nice piece of jewelry. Mahonski says it is a personal acknowledgement of both his religious beliefs and his pride in the determination of Poles to maintain theirs. As a Polish-American, he has always looked up to the first Polish Pope with admiration. To do more to honor both him and the Polish Roman Catholic Church, Mahonski decided to make copies of the Pope’s cross to raffle off each year. There were only twelve duplicates made, one for each stage of the cross. Proceeds from the first raffle, which earned $20,000.00, went toward an unwed mothers’ home in Wadowice, Poland, the birthplace of Pope John Paul II. Both the money and a hand-crafted mosaic depicting the cross were safely driven and delivered from Rome to Poland.